Pricing on the Yon isn't actually that bad. the person who has the only lic. to make the Skydance told me that he is not happy about the Yon....and has started the investigation into that kite from HQ....we shall see what occurs now about this.....could be the whole Hampton/Piranha situation again....hope not!!!!! OTOH, the Jam is arguably the best selling kite that HQ has ever had in that particular segment of the market at any rate. I'd be interested in seeing a Chrome. I'd be interested in flying a Chrome. My feeling is, if the Chrome is going to do any business on this side of the pond HQ is going to need to get some out there for fliers to try. Hard sell at that price even then IMO unless it is amazing. HQ have always made good quality, mid range, mid price kites. I have several and they are all very good for the money ...but not in the same class as the high end kites, Bensons, J.O.E.Talons, Blue moon etc. In the middle of 2009 there was a big hike in HQ retail prices ( at least here in the UK) possibly due to the exchange rate. I bought a an HQ Falcon in February when the price was around £100, by August the price was £140! If the price for the Chrome is right, I wonder if HQ are maybe dipping a toe in the high end market to try the water so to speak. If so they are they will be going head to head with the above and unless as you say it really is something out of this world I doubt if its going to work. If I were in the market for a high end kite, I could buy a brand new Deep Space or Talon in my colour choice for less than a Chrome....I know where my money would go. 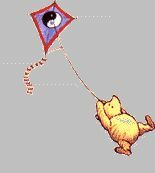 HQ have always made good quality, mid range, mid price kites. Agreed. But the Chrome seems to have ideas if not above its station then at least at a higher one than most of HQ's output. That $400 converts to around 280€ at the moment and that is knocking on we-know-it's-expensive Cosmic TC territory and is more than the oh-so-interesting-to-oh-so-many-people Alphakites TNT (which is similarly framed) in their native land. Agreed. But the Chrome seems to have ideas if not above its station then at least at a higher one than most of HQ's output. That $400 converts to around 280 at the moment and that is knocking on we-know-it's-expensive Cosmic TC territory and is more than the oh-so-interesting-to-oh-so-many-people Alphakites TNT (which is similarly framed) in their native land. It seems that the 280 Euro price tag is becoming the norm over on that side of the pond. The K2 costs a scant 289 and even the Eternity, with it's "build", was 250. ...I'm not even going to start with the Alphakite's pricing. Shame about the Yon, looks like an outright copy. Have just heard from Invento-HQ that they won't produce the Yon due to copyright issues. Guess Con's happier now! Strangely, the UK dealer is advertising all of the new 2010 range ( stunt kites) EXCEPT the Chrome!...they obviously realise the price is way too high. I wonder if it will make the 2011 catalogue? If anyone in the UK is looking for a good cheap allrounder, they are selling the old Jive at a very good price!